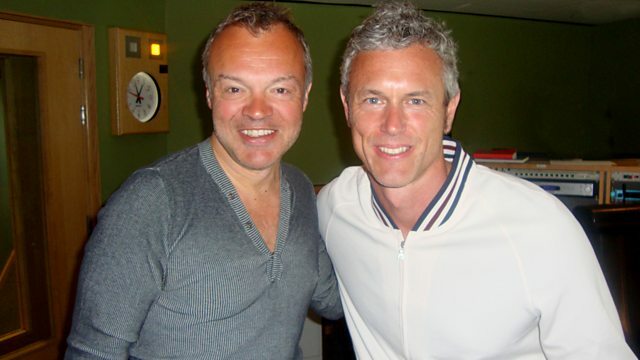 BBC Radio 2 - Graham Norton, Marianne Faithfull and Mark Foster - swinging sixties and swimming tips, please! Marianne Faithfull and Mark Foster - swinging sixties and swimming tips, please! Marianne Faithfull chatted to Graham about her new album and exactly what she thinks about her famous ex, plus former swimmer Mark Foster explained why he's not like Wayne Rooney. Our latest Grill Graham saw the nation dish out advice to 12 year-old 'Tom', who wanted to know how he could stop his parents from splitting up, plus there were words of wisdom for Catherine, whose next door neighbour has an offensively loud, slumber-awakening central heating system. In this week's 'I Can't Believe It's Not Better', Gerry in Bridport lost his dignity to a national radio audience when he suggested 'I Lost My Heart to a Starship Trooper'. And in 'Tune with a Tale' Jessica Barker gave us her explanation of 'The Devil Went Down to Georgia' by the Charlie Daniels Band, a song she actually sang at her wedding! All things Eurovision with Blue, Christopher Timothy on life after playing a TV vet and Jonathan Wilkes on the joy of musicals! I Hope We Get To Love In Time. All Things Bright & Beautiful.